The European airline warned that much of its 2018 operating profit will be wiped out by French strikes. Higher fuel charges and increased competition are creating headwinds for all carriers. But British Airways owner IAG’s success in slashing costs helps protect its bottom line. 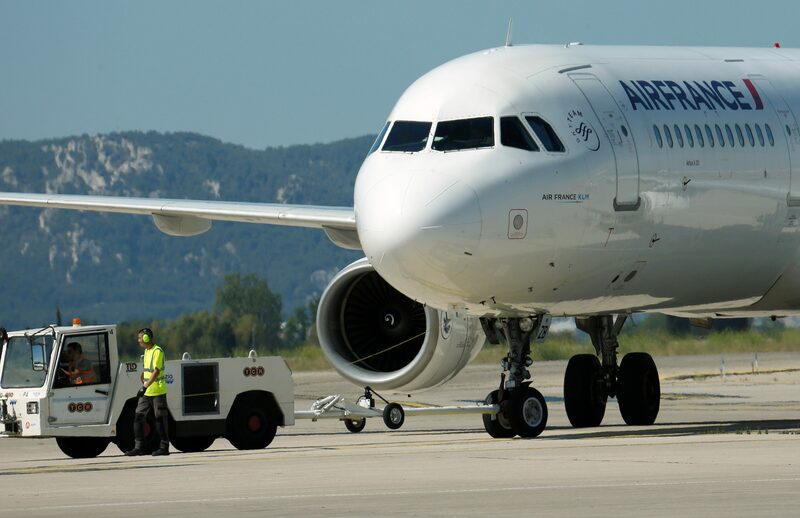 An Airbus A321 plane of the French airline Air France is seen on the tarmac at the Marseille-Provence airport in Marignane on the first day of a strike by Air France stewards, France, July 27, 2016. IAG on May 4 reported operating profit before exceptional items of 280 million euros for the first three months of the year, a 75 percent year-on-year increase. The owner of British Airways said revenue grew 2.1 percent to 5.02 billion euros. Passenger numbers were up 8.5 percent to 23 million. Its load factor, a measure of how full its planes are, rose 1.5 percentage points to 80.5 percent. Non-fuel costs, based on the number of available seats and the distance flown, were down 5.7 percent before exceptional items. Meanwhile, Air France-KLM said on May 4 it expects profit to fall this year due to strikes at its main French unit. The European carrier said its first-quarter operating loss from continuing operations had widened to 118 million euros, against a restated loss of 33 million euros in the same period of last year. Overall costs per seat and kilometre flown rose 2.1 percent, after adjusting for currency changes, fuel and pension costs. Of this, 1.7 percentage points was related to strikes. The airline has so far estimated that the strikes, which have run for 13 days, have cost it about 300 million euros. Air France-KLM shares were down by 7.5 percent to 7.71 euros at 0835 GMT on May 4. IAG shares were up by nearly 5 percent to 672.2 pence at 0829 GMT on May 4.